The Pineapple Thief’s main man, Bruce Soord, has released an eponymous and personal album of delicately crafted songs, suffused with memories and feelings. Soord has been stretching his musical envelope in recent years, recording with Jonas Renske in the remarkable Wisdom of Crowds and touring with Renske’s band, Katatonia. He has also developed a parallel career producing and mixing albums with a range of artists such as Opeth, Tim Bowness, Anathema and TesseracT. These expansions of his musical horizons have helped give Soord the freedom to figuratively return home to his roots in Yeovil and explore his past through an absorbing and evocative set of emotionally infused musical recollections and impressions. Soord music combines as a lament for his decaying hometown with a celebration of where he grew up and still lives. The album cover underlines the connection with Soord’s past as it shows him standing in front of a collage of various images of places important to him as a young man. This is a beautiful, beguiling song set to a simple and hypnotic piano that establishes Soord’s perspective as he looks back at his home town and at his life with a mixture of feelings. Of course, Bruce Soord has always used his music with The Pineapple Thief (TPT) to express his deepest emotions and evoke personal memories, but these were often projected in more complex progressive or elaborately produced indie rock settings as TPT’s sound evolved over the years, culminating in the string-laden and emotional Magnolia in 2014. The subtle difference between his TPT oeuvre and this solo effort can be summed up poetically in the difference between two songs about trees, both rooted in Soord’s distinctive musical style but branching out in different directions. On the whole none of these excellent songs would sound out of place on a TPT release, such is Soord’s memorable wistful vocal quality and song writing style, but as a whole this is such a personal album of reflection and memory it is apt that he undertook the performance of the entire album himself, apart from some additional guitars from Darran Charles of Godsticks. However, this is not a purely acoustic album of melancholic or nostalgic songs, as Soord shows his versatility with the funky rhythms and chants of The Odds, whilst A Thousand Daggers darkly echoes the mantra-like epic Light Up Your Eyes from the 2005 TPT album 10 Stories Down. Soord subtly uses other sounds such as clarinet and strings to add colour and atmosphere to his musical palette. However, his main instruments are his dulcet, forlorn voice and acoustic guitar, shown most effectively in the emotionally fragile and delicate gossamer thin sounds of Field Day. Older TPT fans will possibly find some of the feel of this very personal and melancholic album harks back, albeit in a less sombre way, to the heart-breaking 2006 TPT album Little Man, written after a personal tragedy for Soord. This seems particularly evident with the sparse, haunting music and vocal tones of Familiar Patterns. The musical journey down Soord’s memory lane ends with the combined murmuring pastoral sounds of the country and road traffic introducing the final song, Leaves Leave Me. This lovely song features Soord’s multi-tracked voice itself as a soulful instrument full of feeling. The song slowly rises like a musical dawning sun and culminates in the sound of children playing to underline Soord’s desire for the ultimately positive message of the album to be: ‘love life’. Soord’s solo album is an atmospheric and delicate journey, with a sense of nostalgia and melancholy, but ultimately filled with optimism. TPT fans will not be disappointed in this release as they will know that at the core is the musical integrity and soul of this remarkable songwriter revealing himself in a more intimate and pared down style. New listeners to Bruce Soord should fall under the spell of his bitter-sweet melodies, finely crafted songs and beautifully played music. It is sometimes said that ‘the Pen is Mightier than the Sword’ – currently amongst today’s singer-songwriters this reviewer’s Pen would say there are very few Mightier than the Soord. 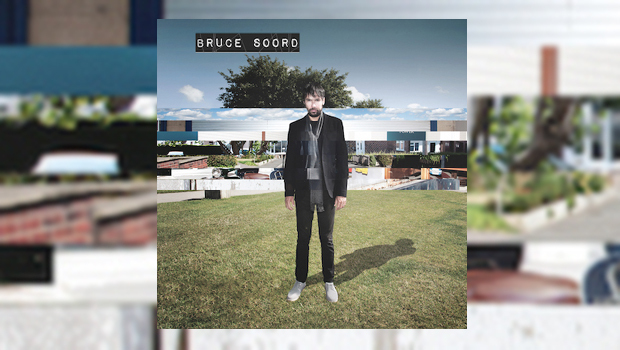 Bruce Soord easily stands comparison amongst the best albums of 2015.